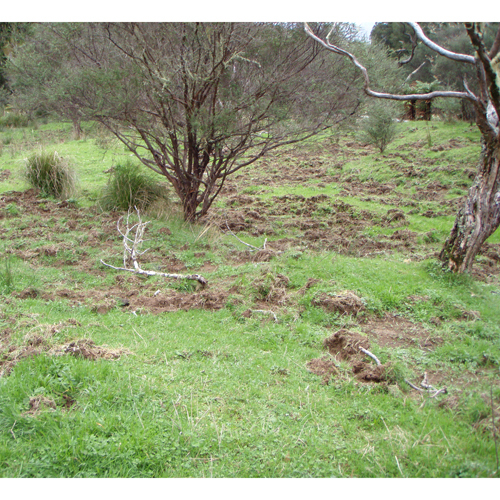 Rooting by feral pigs causes enormous damage. Rooting is a foraging behaviour, and is often undertaken systematically in deep regular patterns. It is the most common and evident sign of the presence of feral pigs.